Our Teak plantation shutters in Melbourne are available in a variety of styles, made from solid hardwood. Teak has a straight, fine grain, which gives it a great look, and because they accept paint readily, without distortion, we are able to offer it in a wide variety of colours. Teak does not warp easily, and because of its ability to be carved and worked, can be made in a variety of shapes including arches and cutouts for French doors. 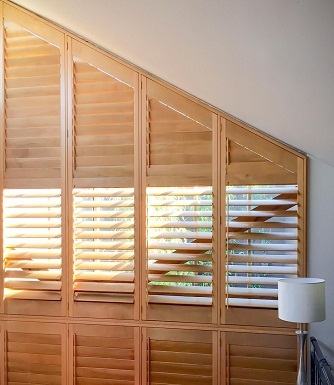 With their combined lightweight and strength, teak plantation shutters are perfect for both large and small spaces. Teak is very easy to maintain and keep clean, and usually a wipe down with a wet cloth is enough to have them looking as good as new. Long lasting, easily customisable and available in a wide variety of colours and designs, our Teak plantation shutters in Melbourne are a great, affordable choice.